"For SaaS B2B startups, Predictable Revenue has become the sales model du jour, elegantly solving the mysterious market entry problems most startups suffer at launch. However, it may not be right for all companies. 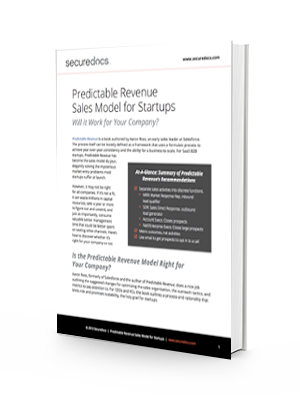 If your company is considering adopting this sales model read this white paper first.